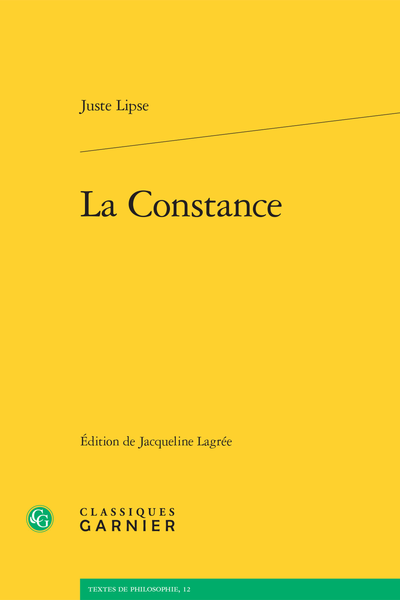 Abstract: On Constancy is a philosophical treatise of Justus Lipsius. Constancy is understood as patience in public disasters, grounded on a metaphysical background: the theory of necessity of the laws of the world, chosen by a provident God. This book is the major philosophical dialogue of neostoicism.